The slender shapes and the transmission characteristics of the KM 183 make the "Series 180" especially suitable for a very wide range of tasks in the radio and television sector. 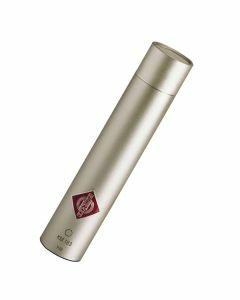 The KM 183 omnidirectional can trace its roots back to the enormously successful KM 184 cardioid microphone, a microphone successful in becoming a market standard in essentially no time at all. The heir of the road-tested KM 83, in use globally since the seventies with much aplomb, the KM 183 is a pressure transducer with a boost of approximately 7 dB at 10 kHz in the free field. In the diffuse sound field it enjoys a flat frequency response and, during standard usage, there is no colouration of sound over a wide pickup angle.